Siavash Farahani, WGA, is an Iranian-American filmmaker, screenwriter, composer. Born in Tehran, Iran he subsequently immigrated to Oslo, Norway before moving to Los Angeles, where he attended USC School of Cinematic Arts as a Production Major. 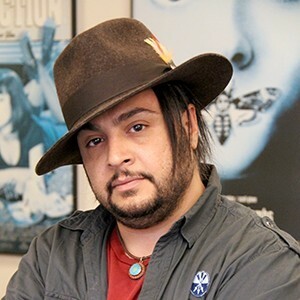 There his thesis film, Inguene which he wrote, directed and scored, spawned a professional career in the film industry, beginning with his original screenplay Domino Falling and followed by various studio film projects including Max Payne (Dimension), and The Shadow (Columbia) and Aladdin (Radical/Relativity). He is currently working on his feature film directorial debut, Domino Falling. Aside from his professional work and passion for music composition, since 2011 he has enjoyed spending time back at his alma mater where his career first began to instruct and mentor the next generation of Jedi storytellers.